Be sceptical. Be thorough. Be proud of getting it right. I am writing this pre-dawn. client work starts in a couple of hours’ time. 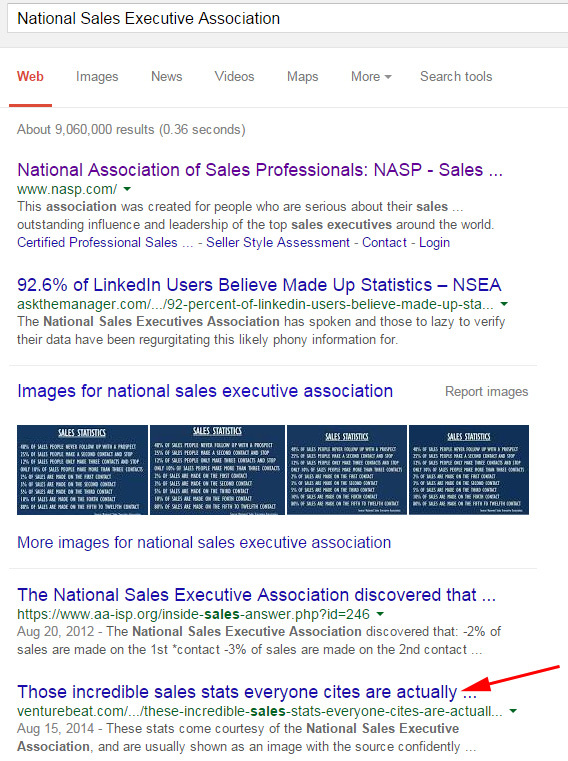 at the source quoted on the slide: National Sales Executive Association . unsubstantiated data and risk another red face. reputable events and in reputable books (Rogers’ blog provides specifics). I almost became another in that long line of suckers. What is this blog about now? Your reputation. Don’t assume. Don’t rush. Don’t take short cuts. fooled. And it doesn’t take much to prevent being fooled. Not sure about accuracy of the percentages, but the first three lines are often frustratingly true. 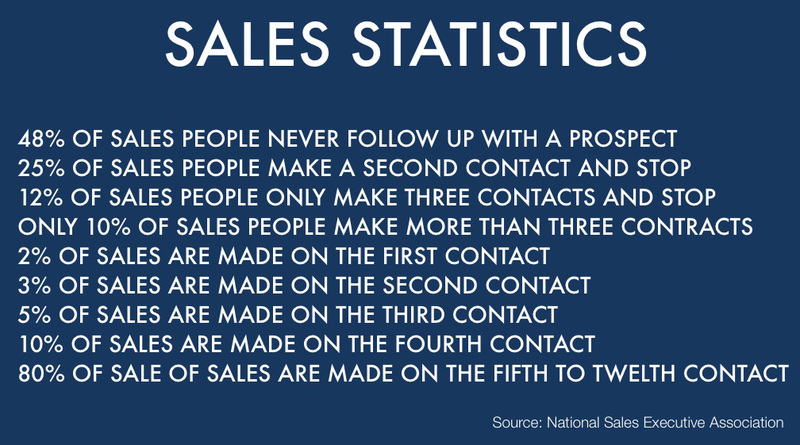 As an experienced Sales Rep, (yes, as a recruiter, that's what I am) I like to be "sold" when I am considering a purchase. I get really frustrated by sales reps who do not follow up my enquiries. Classic example, I attended the HIA home show and am yet to receive one follow up call. I would consider myself a "qualified lead", as currently building.